This difficult, transitional time in Hungary is a period rarely dealt with in cinema, and certainly not with as much clarity, economy and nuance as Ferenc Török displays here. A rare subject too, the grave and sobering issue of how the Gentile population of Nazi-occupied countries behaved towards Jewish neighbours, and how they have, or haven’t, variously, come to terms with a life based on guilt and betrayal. With its monochrome splendour and striking soundtrack, morally compromised townspeople and its tick-tock narrative towards an unknown conclusion, we’re reminded of Fred Zinnemann’s taut and masterful High Noon. Wednesday 6 March – C'est La Vie! Max is a veteran wedding planner who is thinking about selling on his business. For now, however, there’s something more pressing to worry about: organising a lavish wedding in a 17th century chateau. It’s no small task: there’s dozens of people to manage, unreliable electricity, a last-minute musician change, and an increasingly demanding groom. Soon, things start going very wrong indeed. Can Max and his team sort everything out without the guests noticing? The latest film from Untouchable directors Olivier Nakache and Éric Toledano is a gloriously manic French comedy. It hits the ground running and barely takes a breath as wedding disaster after disaster unfolds. With larger-than-life characters and laugh-out-loud set pieces, C’est La Vie! is a delight. There’s nothing more dangerous than a writer whose feelings have been hurt.” The speaker is Joan Castleman, the charming, enigmatically discreet and supportive wife of world-famous author and New York literary lion Joe Castleman. 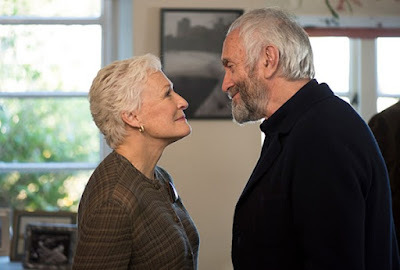 It is a fascinating and bravura performance from Glenn Close, in this hugely enjoyable dark comedy from director Björn Runge, adapted by Jane Anderson from the novel by Meg Wolitzer. Perhaps it’s Close’s career-best – unnervingly subtle, unreadably calm, simmering with self-control. Her Joan is a study in marital pain, deceit and the sexual politics of prestige. It’s a portrayal to put alongside Close’s appearances in Dangerous Liaisons and Fatal Attraction. The Castlemans are on the plane to Sweden, ready for Joe to get the Nobel prize. Yet they are being pestered on the flight by a certain Nathaniel Bone, part stalker-fan, part parasitic hack who wants Joe to cooperate with a warts-and-all biography he is planning to write. Joe gives him the contemptuous brush-off but Joan cautiously advises a more diplomatic treatment. 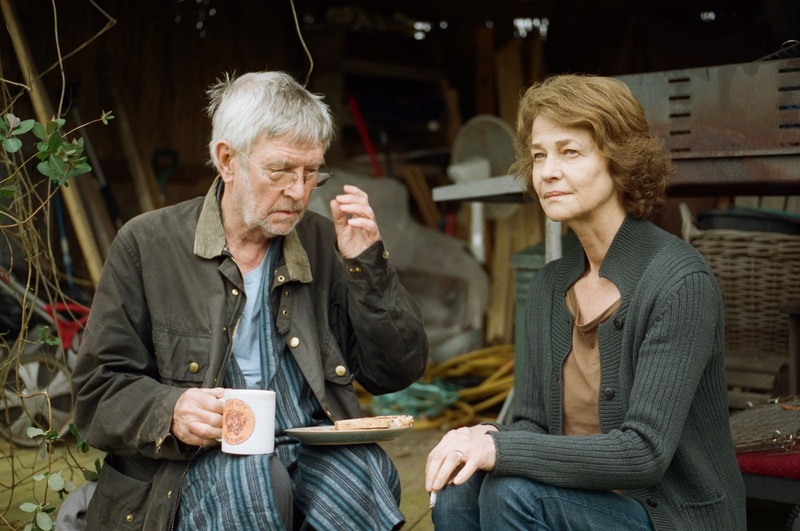 It is a key moment in this hugely enjoyable drama when things begin to fall apart. The shade from a front-yard tree brings the already simmering tensions between two families in an Icelandic suburb to boiling point. 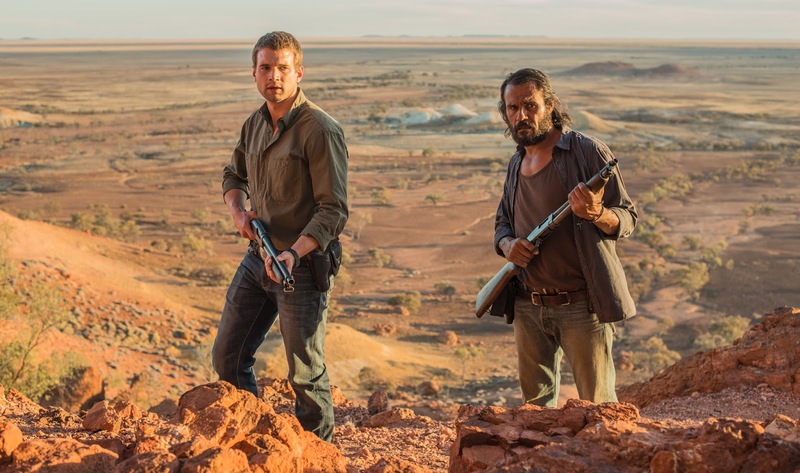 Pitch black in its humour, Under the Tree is a dark and wry drama. Grieving Inga and put-upon husband Baldvin are the proud owners of the area's only tree. Next door, amateur marksman Konrad lives with his new, much younger wife, the athletic Eybjorg — whose mere appearance incites torrents of expletives from Inga. Eybjorg is infuriated by the way the overhanging branches of Inga's beloved tree block the sunshine. Absurdly hilarious and psychologically astute, Hafsteinn Gunnar Sigurðsson, expertly draws out the repressed anger and grief of his characters. 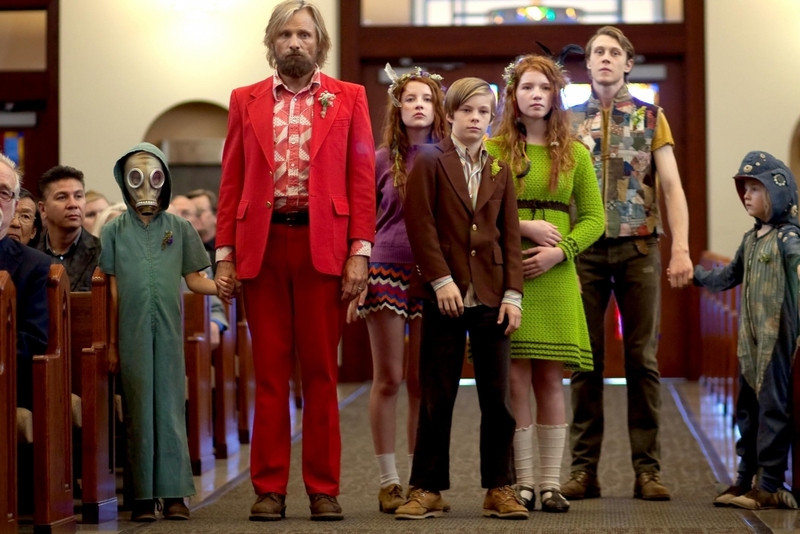 An excellent cast perfectly tread the line between comedy and drama. Director Claire Denis (Beau Travail, White Material) is best known for her often dark and challenging dramas - so it may come as a surprise to see her tackling what is, in essence, a romantic comedy. What won’t come as a surprise, however, is that she has crafted an accomplished, artful and thoughtful twist on that much-maligned genre. Inspired by Roland Barthes's 1977 text A Lover's Discourse, Let The Sunshine In also boasts one of Juliette Binoche’s most captivating performances of recent years. London, 1946. Free-spirited author Juliet Ashton is invited to travel to the Channel Island of Guernsey to carry out research for a new book. Whilst there she meets the delightfully eccentric members of the Guernsey Literary and Potato Peel Pie Society, a mysterious literary group formed during the Nazi occupation. 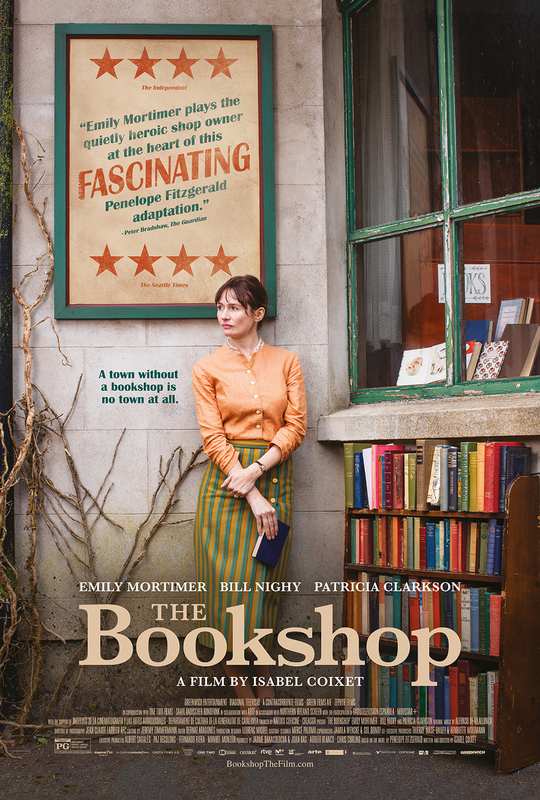 Based on the beloved historical novel of Mary Ann Shaffer and Annie Barrows, directed by Mike Newell (Into the West, Four Weddings and a Funeral) and featuring a charming ensemble cast, The Guernsey Literary and Potato Peel Pie Society weaves a romantic story of love, courage and loyalty where the power of books can bring people together and provide refuge in their darkest times. Free from prison after two years of hard labour in Reading Gaol, Oscar Wilde (Rupert Everett) is forced to live in exile in Europe. He yearns to reunite with his children, but ill-health and a misguided reconciliation with his beloved Bosie propel him towards a disasterous and ultimately fatal existence. Supported by loyal friends Reggie Turner (Colin Firth) and Robbie Ross (Edwin Thomas), who try to protect him from his own excesses, Wilde courageously lives out his last years by falling back on the creativity, charm and brilliant wit that defined him. Actor Everett writes, directs and stars in the untold story of Wilde’s tragic last days. The Happy Prince is a poignant, dignified and personal tribute to his hero. A self-contained father and daughter, live happily on the fringes of society. 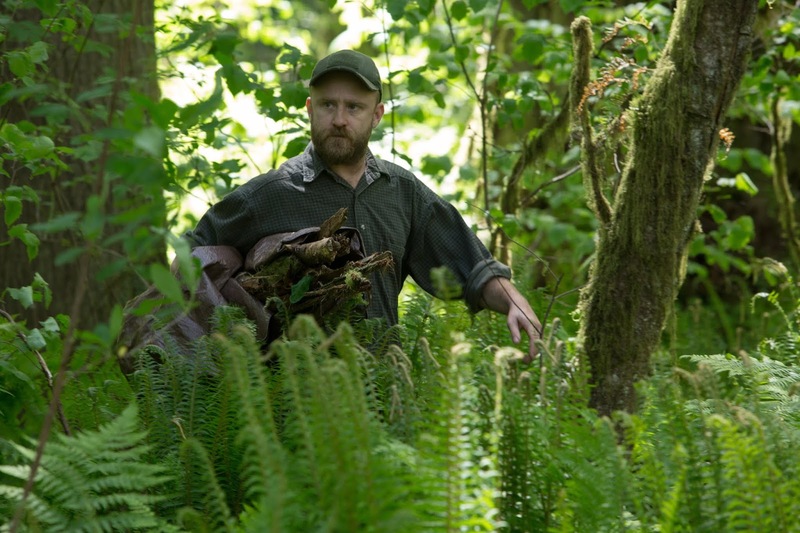 Will, a war veteran, suffering from PTSD, and his teenage daughter Tom, live in a vast urban park in Portland. Will is vigilant about their camp, their rations and the regular drills they have to remain undercover. Only leaving the park to collect certain supplies, their bond is apparent and unyielding. Until the authorities discover them and social services intervene. Offering help, imposing compliance and conformity, they are given a new home, and a job and school are arranged. Will quietly prepares for them to disappear again but Tom is beginning to enjoy this world…. Sensitive and enthralling with intense and touching performances from McKenzie and Foster. 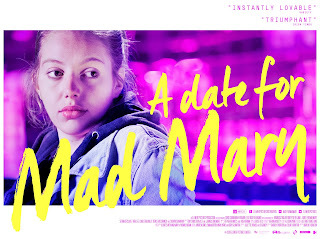 Prepare to accompany one kooky Canadian as she embarks on a whimsical trip through France’s great city in this charming and entirely unique comedy which stars the two long-time Brussels-based theatre actor-directors (and real life couple) Fiona Gordon and Dominique Abel. 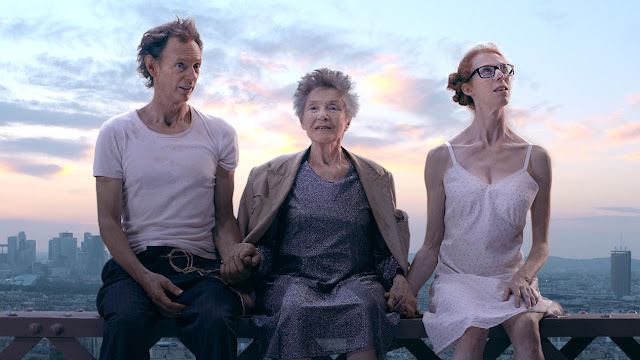 Fiona’s (Gordon) orderly and precise life in Canada is thrown into chaos when she receives a letter of distress from her 93-year-old Aunt Martha (Academy Award-nominee Emmanuelle Riva, Amour, 2012) who is living in Paris. Immediately jumping to action, Fiona arrives in the city of lights only to discover that Martha has disappeared. So begins a hysterical search crammed with one spectacular disaster after another as Fiona desperately scours the city with her oversized red backpack, all the while tailed by an infatuated Dom (Abel), an affable, but annoying tramp who won’t leave her alone. Six-year-old Moonie (Brooklynn Prince) lives with her mother Halley (Bria Vinaite) in a Florida motel. Along with her friends, Moonie spends the summer exploring the urban wilderness and getting into every sort of mischief. Halley, meanwhile, desperately tries to make ends meet. Kind but stern manager Bobby (Willem Dafoe) tries to keep his patience as rent goes unpaid and the hyperactive kids run wild. 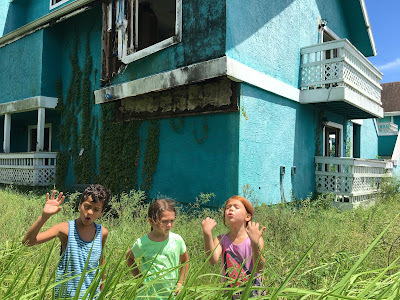 In his follow-up to the acclaimed Tangerine, director Sean Baker cements his reputation as one of the great chroniclers of forgotten America. 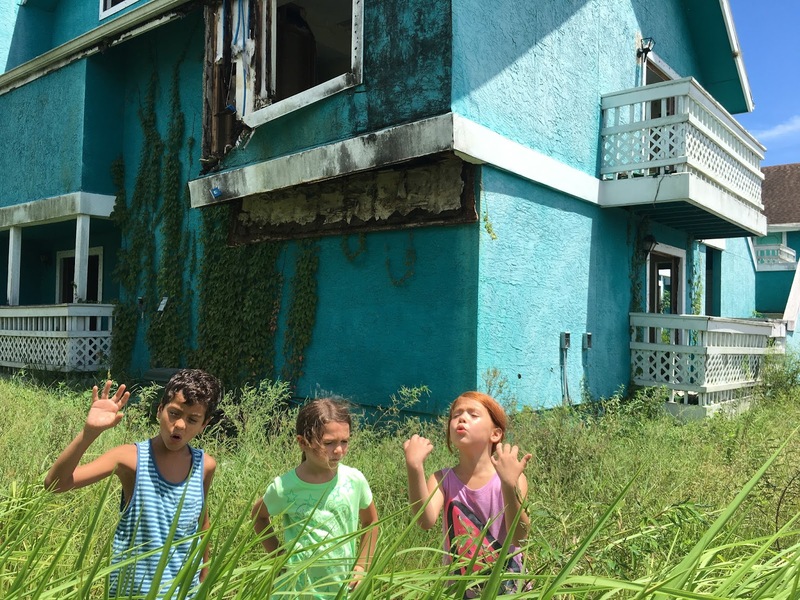 The Florida Project is a deeply sympathetic portrait of one small, neglected community. It’s the wildly energetic kids who really allow this remarkable film to soar, however - few films about childhood have ever felt this authentic. Janet has just been appointed minister in the shadow cabinet – the crowning achievement of her political career. She and her husband Bill plan to celebrate this with a few close friends. The guests arrive at their home in London but the party takes an unexpected turn for the worse when Bill suddenly makes two explosive revelations that shock Janet and everyone present to the core. Love, friendships, political convictions and a whole way of life are now called into question. Underneath their cultivated liberal left-wing surface people are seething. Their dispute leads to the big guns being brought out – even in a literal sense. 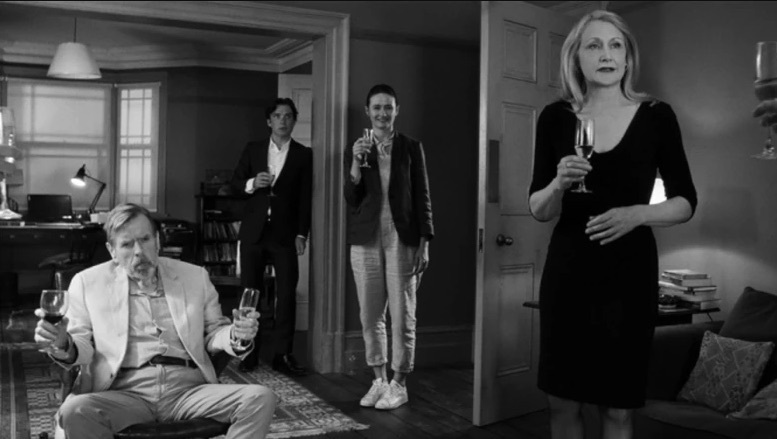 For her eighth theatrical feature British director and screenwriter Sally Potter, who last took part in the Berlinale Competition with Rage in 2009, has invited a stellar cast to join her party. Beginning as a subtly witty comedy replete with sharp-tongued dialogue, the film later veers off into tragedy. When life can no longer be controlled by reason, people will fight tooth and nail to protect their seemingly stable existence. 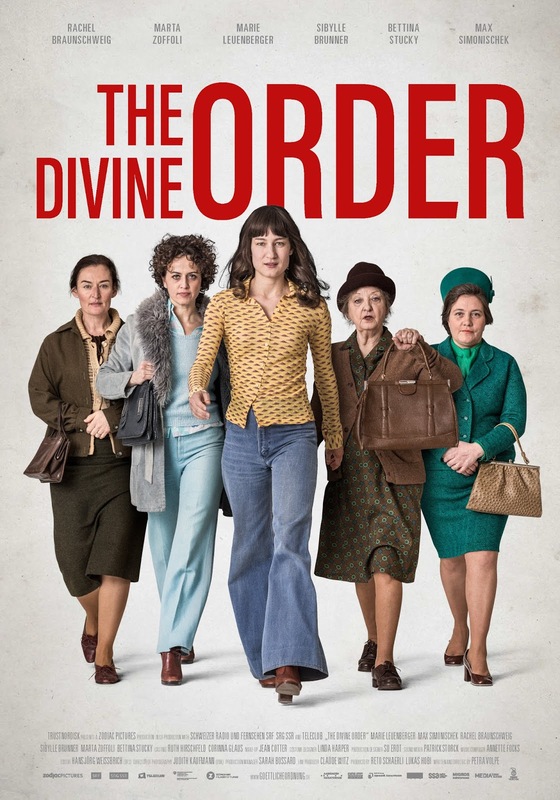 In his return to the big screen, Armando Iannucci - creator of Veepand The Thick of It - brilliantly blends farce and drama in this hilarious yet probing historical satire. 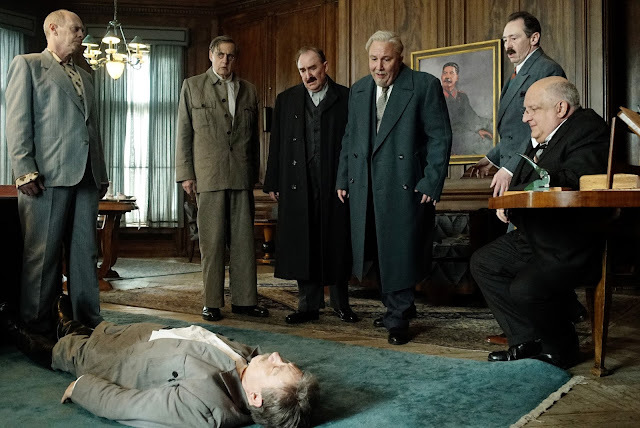 Loaded with inspired comic moments and thrilling political chaos, The Death of Stalin also proves a provocative portrait of a society under a cruel regime. Jean left his family and his native Burgandy ten years ago to tour the world. When learning of his father's imminent death, he returns to his childhood home. There he reconnects with his sister Juliette and his brother Jérémie. Their father dies just before the beginning of grape picking time. Over the period of a year, according to the rhythm of the seasons that follow one after the other, these three young adults will rediscover or reinvent their fraternal relationship, blossoming and maturing at the same time as the wine they make. 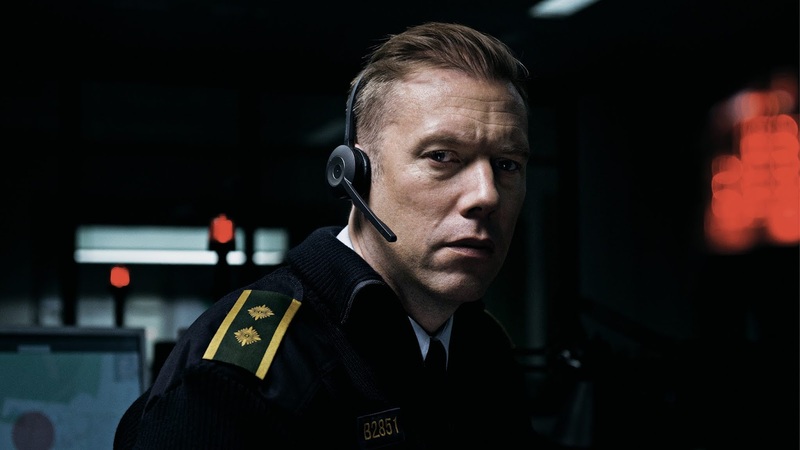 Based on a novel and nominated for Best Foreign Language Film at the 2017 Oscars, this Swedish hit is a bittersweet but charming tale of one man rediscovering himself after a devastating tragedy. Darkly comic but sensitively told, this is a true crowd-pleaser held together by a remarkable lead performance. It all starts at daybreak with three young surfers on the raging seas. A few hours later, on the way home, an accident occurs. Now entirely hooked up to life-support in a hospital in Le Havre, Simon’s existence is little more than an illusion. Meanwhile, in Paris, a woman awaits the organ transplant that will give her a new lease on life. Katell Quillévéré's remarkable ensemble drama is adapted from an acclaimed novel by Maylis de Kerangal. Tomboy Selin lives in Yakel, a village on the volcanic island of Tanna in the South Pacific archipelago of Vanuatu. Selin’s older sister Wawa has fallen in love with the village chief’s grandson, Dain, but when hostilities break out with a neighbouring rival tribe, Wawa’s hand in marriage is offered as part of the peace negotiations. Faced with separation the lovers flee the village…. Based on true events that took place in 1987, and featuring an impressive cast of non-professionals drawn from the communities whose history is being represented on screen, Tanna is a visually stunning and captivating tale of forbidden love set amongst the Yakel people, and the first feature film shot completely on Vanuatu. ...but its content is violent and devastating. While Susan reads, she is deeply moved by Edward’s writing and cannot help but reminisce over the most private moments from her own love story with the author. Trying to look within herself and beyond the glossy surface of her life, Susan increasingly interprets the book as a tale of revenge, a tale that forces her to re-evaluate the choices that she has made, and re- awakens a love that she feared was lost—as the story builds to a reckoning that will define both the novel’s hero and her own. Based on the true story of 5-year-old Saroo Brierley who becoming separated from his older brother one night, is carried 1600km from his home on a decommissioned train. Unable to speak the regional language, he is forced to become one of the cities many street children but is eventually adopted by an Australian couple. 25 years later his memory is triggered and he finds himself wrestling with the need to seek out his original family. Conflicted by the enormity of this and fearing what he may find if anything, the film offers raw, excellent performances from Pathel and Kidman but it is Sunny Pawar, whose remarkable and wrenching portrayal of 5 year old Saroo who steals the show. 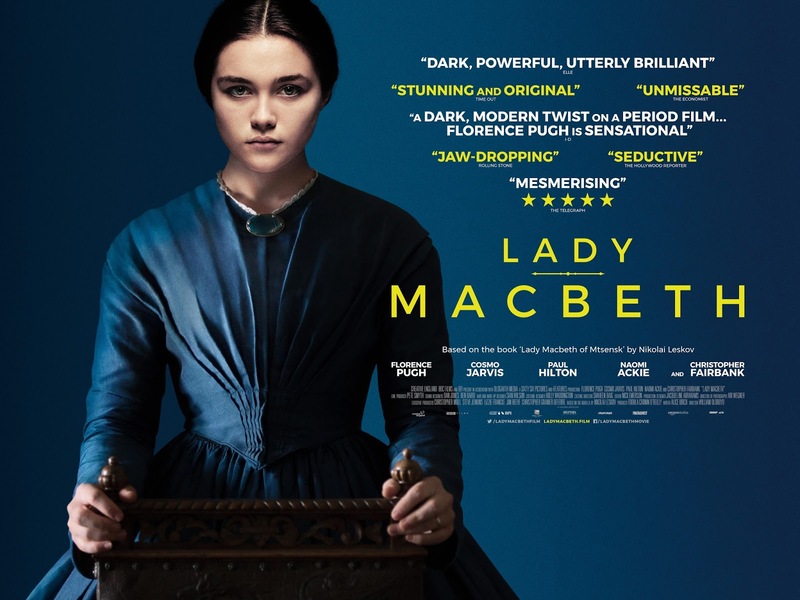 Debut director William Oldroyd and writer Alice Birch move from theatre to film with an ingeniously realised adaptation of an 1865 Russian novella Lady Macbeth of the Mtsensk District. Katherine (Florence Pugh) is a young bride, unhappily married to the nasty son of a wealthy mine owner. Unable to consummate his marriage, the husband is sadistic, refusing to even allow his young wife out of the house. Left alone when her husband is called away on business, Katherine starts to explore the grounds and initiates a passionate affair with earthy, ill-mannered stable-hand Sebastian (Cosmo Jarvis), while her increasingly concerned maid (rising star Naomi Ackie) watches on. 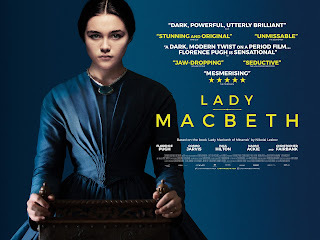 Lady Macbeth has grand ambitions, and exudes a rare vision and talent. Proving her knockout turn in The Falling was no fluke, Pugh amazes as a heroine whose behaviour shifts from steely proud to wild-eyed and deranged. With his first English-language feature, Joachim Trier (whose previous films Reprise and Oslo, August 31 both played at the Festival) reconfirms his well-earned reputation as one of the finest young European directors to emerge in the past decade. 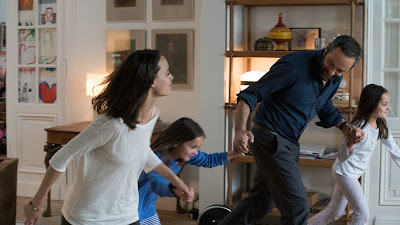 Working with his co-writer and long-time collaborator Eskil Vogt, in Louder Than Bombs Trier expertly (and sometimes audaciously) shuttles between different timeframes and character perspectives as he investigates the dynamics of a troubled family. Gene Reed (Gabriel Byrne) is an aging high-school teacher who, while grappling with the sudden death of his photojournalist wife Isabelle (Isabelle Huppert), is also experiencing difficulties connecting with his youngest son Conrad (Devin Druid), a painfully shy loner who finds his only outlet on the internet. 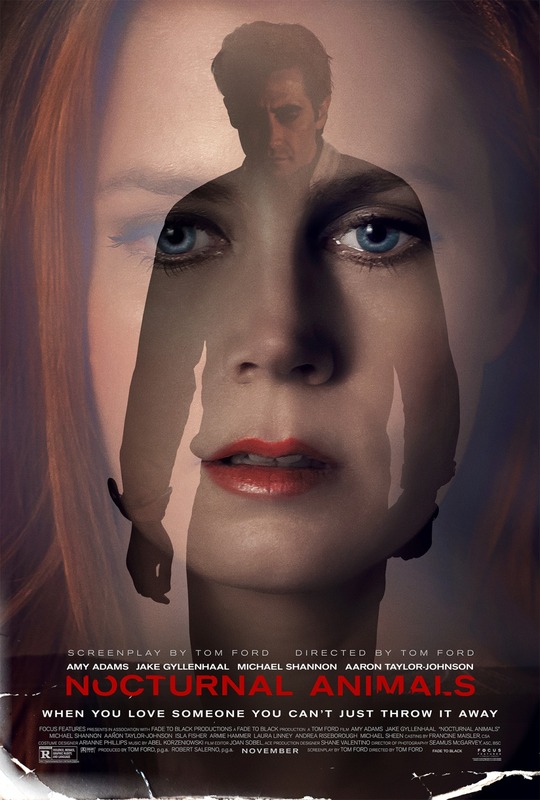 When Jonah (Jesse Eisenberg), Gene's wunderkind eldest son — a promising young academic who has become an insufferably moralizing pedant — returns to the family home almost immediately after the birth of his first child, Gene seizes upon the opportunity to try and mend the rifts in the familial fabric. This last-chance bid for reconciliation is made all the more urgent by an upcoming, posthumous exhibition of Isabelle's work, which may lead to a public revelation of some of the Reeds' darker secrets. Retired composer and conductor Fred (Michael Caine) is taking treatments at a luxury Swiss spa, watched over by his daughter (Rachel Weisz). He’s there with his old friend Mick, a film director (Harvey Keitel) who, unlike Fred, doesn’t plan on giving up his career just yet. 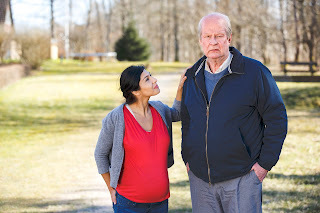 Both while away the time reminiscing about their young days and their past loves and, fully aware of their age, they have no illusions about the future. They observe the lives of dozens of colourful individuals whom they meet or simply glimpse passing by, and who compel them to reflect on youth and beauty. 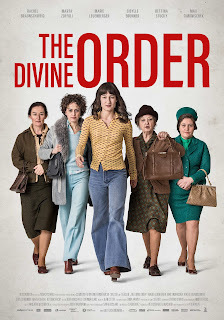 Here, Paolo Sorrentino once again stages a “choral theatre of life,” where the motley characters surrounding the central figures each have a fundamental role to play – not as part of the almost nonexistent story, but as one of the constituents of the filmmaker’s design. This latter is stunningly rendered via image and music and, instead of a sense of decline and finality, the impression is more one of hope, reinforced by a wonderful and strongly emotive ending. 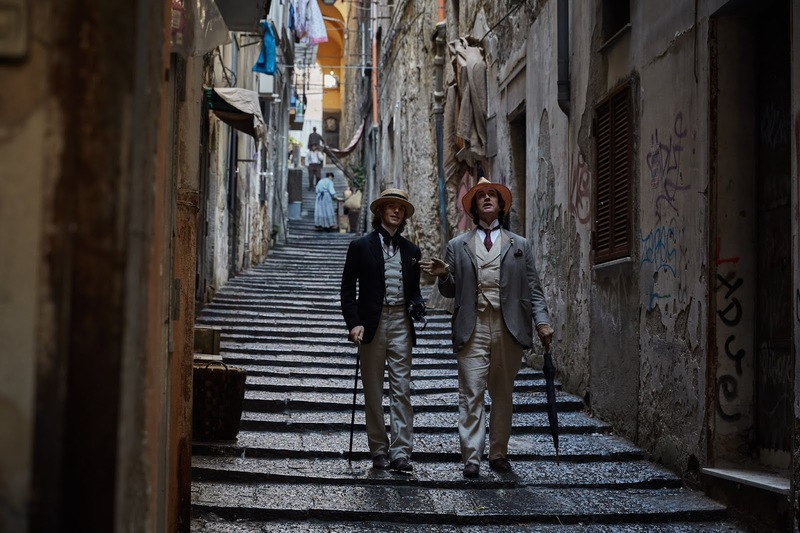 Sorrentino’s new film was considered one of the best works in this year’s Cannes competition but, like The Great Beauty (2013), it failed to win a prize. The debut feature from Irish writer-director Simon Fitzmaurice is a spirited coming-of- age story that traces the journey of a strong-willed young woman as she weathers loss, upheaval, and rebirth. "If you hide from death, you hide from life." Teenage Emily (Harry Potter's Evanna Lynch) inherits this mantra from her father Robert (Michael Smiley), an author and philosopher of sorts, whose lectures and writings encourage others to live for the moment at the expense of social niceties. But following the tragic death of Emily's mother, Robert starts to change, and his visionary eccentricities now appear to be symptoms of mental illness. Robert is soon institutionalized, and Emily is sent away to live with foster parents and attend a school where everyone dismisses her as a weirdo — everyone, that is, except Arden (George Webster), an awkward but endearing classmate with family problems of his own. When Emily suddenly decides to travel north to bust her father out of his psychiatric hospital, the hopelessly smitten Arden joins her on a renegade road trip that will give both youngsters their first taste of what it truly means to be alive. But their cheerful energy turns to dismay as their strict grandmother (Nihal Koldas) ushers them into their house on a hill. Informed by a villager who saw them cavorting on the beach, she fears the girls' virtue and their marriage prospects have been tarnished. Her hysteria is fanned by the angry reaction of their Uncle Erol (Ayberk Pekcan), who is not above taking advantage of their supposed disgrace in the case of one of the girls. Despite the sisters' vehement denial of any wrongdoing, which is verified by medical examination, they are locked up behind closed doors. Potentially corrupting influences like phones and computers are removed, and they are outfitted in shapeless dung- colored frump dresses for rare outings in the village. Kate is in the middle of preparations for her 45th wedding anniversary when her husband Geoff suddenly receives news which pulls him back into the past. Fifty years ago his then girlfriend had a fatal accident in the Swiss Alps. Now, finally, her body has been found, frozen in ice and time. Kate and Geoff are both shocked but are unable to share their insecurity with each other. He retreats ever more into a distant world of memories whilst Kate endeavours to suppress her burgeoning jealousy and anxiety with pragmatism. She needs to concentrate on selecting the music and menu for the party and taking care of the other arrangements. 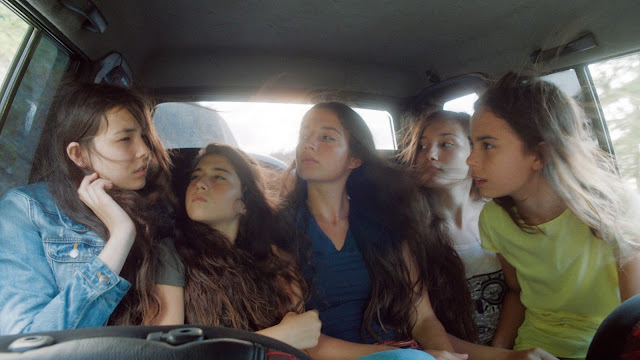 The ‘journeys’ that Alice (a wonderfully free-spirited Ariane Labed) sets off on are physical, sexual and emotional. 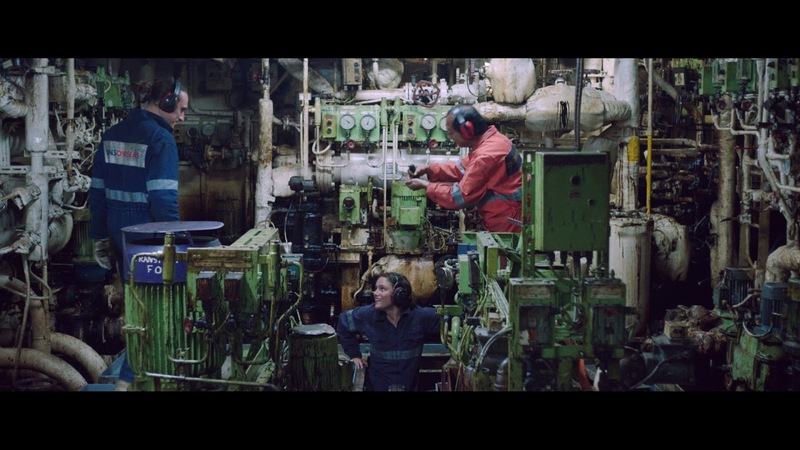 She has become a sailor – working as a mechanic on freighters – not necessarily to see the world but rather to find herself. When she boards the rickety Fidelio as a last minute replacement for a crew member killed in an accident, she finds the captain is her former lover Gael (Melville Poupaud). Antoine (Gustave Kervern) is a forty-something rock singer with insomnia and stage fright. After deciding that a music career is too stressful, he decides to look for another job. 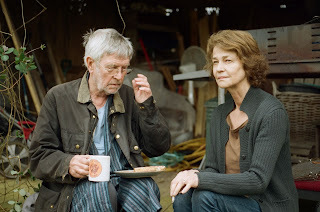 Despite Antoine having no relevant experience, retired resident Serge (Feodor Atkine) is persuaded by his wife Mathilde (Catherine Deneuve) to employ him as the caretaker for their quiet Parisian apartment building. As Antoine gets to grips with the quirky characters inhabiting the apartments, it quickly becomes obvious that he is unable to handle his new responsibilities. But when Mathilde’s mental state comes into question, she finds a friend and confidante in Antoine. Salvadori and his actors skillfully use humour here to sensitively explore some serious themes, including mental health and loneliness. 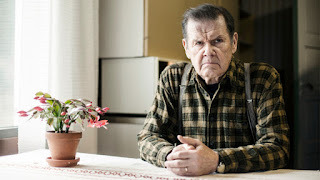 The Grump (Antti Litja) is a stubborn, sour-faced old farmer with a rose-tinted view of the past. After a bad fall, he is forced to move from his family farm to the city home of his career-focussed daughter-in-law. Struggling to exist in this new world, the old man seems to do nothing but clash with everyone around him. But slowly it becomes apparent that the old fellow could still teach the modern world a trick or two! 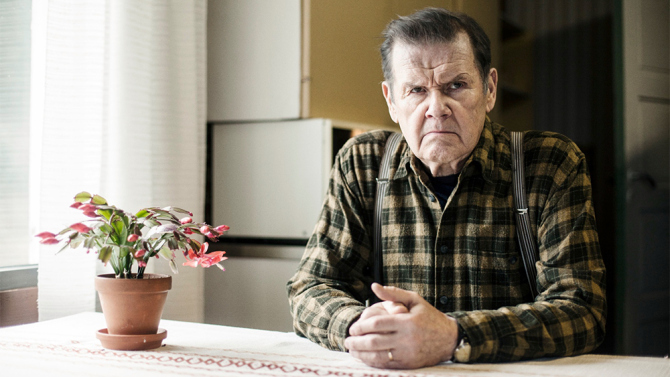 Based on the popular novel by Finnish author Tuomas Kyrö, The Grump is a charming and comedic culture-clash satire from up-and-coming director Dome Karukoski (Lapland Odyssey).